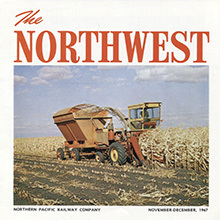 This section includes listings for marketing publications produced by the Northern Pacific Railway. 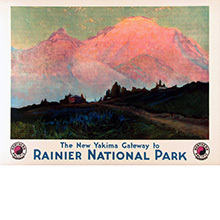 ​The NORTHWEST ​PDF The NP produced The NORTHWEST from August 1927 to April 1969, when it was replaced by GO! magazine. It was published monthly until April of 1955, when it switch to every-two-months with the May-June issue of 1955. The publication was targeted at NP customers and potential customs. While the articles are somewhat lightweight, there are true nuggets of historical and modeling information in some articles and in many of the pictures. All the PDFs in the collection can be searched for specific names, locations, businesses, or terms. Issues are 8-16 pages. GO! With The Northern Pacific Railway ​PDF ​The employee and customer focused publications underwent some dramatic changes during the last three years of the NP. The last publication introduced was a combination of The NORTHWEST and the Mainsteet/TellTale. The GO! publication was roughly 24 pages, with the middle 8 pages included as an insert. The insert was targeted at employees, while the other pages targeted customers. ​​The North Coaster ​PDF ​This monthly, four-page publication was published by the Passenger Traffic Department. Articles were diverse and included such topics as Yellowstone Park visitation or enhancements, special Girl Scout gatherings, celebrities riding the North Coast Limited, and exciting destinations like the Seattle World's Fair. It would appear The North Coaster was intended for agents who sold passenger train tickets; either NP employees or others in the travel industry. ​Various Marketing Materials ​PDF ​This folder contains a modest but growing set of NP marketing materials, like brochures that promote an NP service like overseas shipments or piggy-back trailer service. 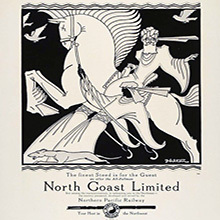 This section includes listings for publications produced for employees of the Northern Pacific Railway. 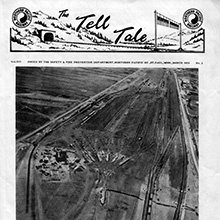 The TELLTALE PDF Published monthly by the Advertising and Publicity Department from January 1940 to June 1967, when it was replaced by MAINSTREET. This publication is targeted squarely at NP employees. It includes retirement notifications for every month, along with safety records and short articles on topics related to employees. For years, the TellTale included a table listing all the Northern Pacific retirees, their positions, and years of service. In addition, The TellTale often includes a table of injuries, a listing of promotions, and facts on the Northern Pacific Beneficial Association. ​MAINSTREET ​PDF ​​MAINSTREET was a replacement for The Telltale, running from 1967 to 1969. This publication had the look of a small-town newspaper, 11x17 inches. The subjects were diverse, from new equipment announcements to beauty-contest winners. This started out as a monthly publication, then every two months, with the last issue covering four months. Eventually, we plan to upload scans of posters and calendars produced by the Northern Pacific. But for now, just a placeholder - under construction. Sample Poster ​Image ​Eventually, we plan to upload scans of posters and calendars produced by the NP. But for now, just a placeholder - under construction. Collection of Northern Pacific Advertisements from various sources. ​Advertisements ​Image and PDF A listing many different advertisements from Magazines, flyers and other sources. 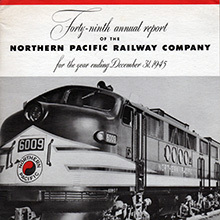 A selection of Northern Pacific annual reports and other financial documents. Annual Reports ​PDF Annual reports for 1943 through 1970 are scanned and presented as PDF files. Typically reports were 28 pages in length, and include many details of the business and financial details. These documents are great resources for photographs of the railroad. This section lists publications that are germaine to the Northern Pacific, but were not produced by the Northern Pacific. 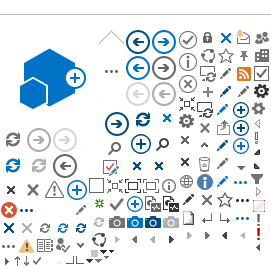 Modern Railways ​PDF Wow, very cool! 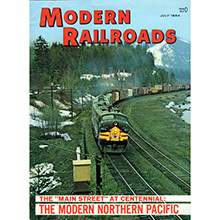 This issue of Modern Railways is 46 pages dedicated to the Northern Pacific and really is a must see. Pages and pages of fantastic pictures and articles on the Northern Pacific.